Japanese cryptocurrency exchange platform Coincheck announced on May 7 that it had resumed withdrawals and sales in the Monero cryptocurrency. 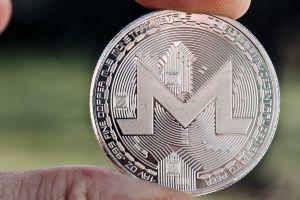 Per media group Nikkan Kogyo Shimbun, the move is seen as significant as Monero is one of the most high-profile currencies that offers stronger anonymity to its users, with hard-to-trace transfers. Nikkan also points out that Coincheck also began ZCash and Dash withdrawals and sales last month. Both are also considered to allow “anonymous” transfers. Monero enjoys enormous popularity in Japan, however, the regulatory Financial Services Agency (FSA) has previously expressed its concern over “anonymous” currencies, claiming that they can be used to launder money. Also, a recent announcement from the FSA hinted that the regulator could eventually issue restrictions on “anonymous” cryptocurrencies – or totally ban exchanges from trading in Monero, Dash, ZCash and the like. Coincheck was hit by a gigantic hack in January this year, and was recently bought out by Monex Group. Coincheck is still involved in a number of legal battles against disgruntled account holders whose funds were compromised by the hack.